And with this in mind, I'm beginning to get my wardrobe and Pinterest boards ready and raring to go for Winter dressing. 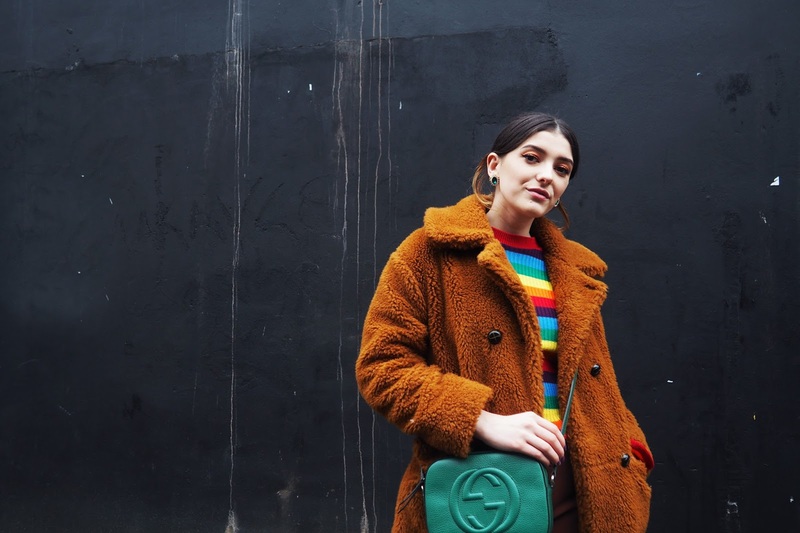 I've banged on about this a million times but Winter dressing is my absolute favourite, after all you could be wearing PJ's to leave the house but whack on a cosy coat and people are non-the-wiser. 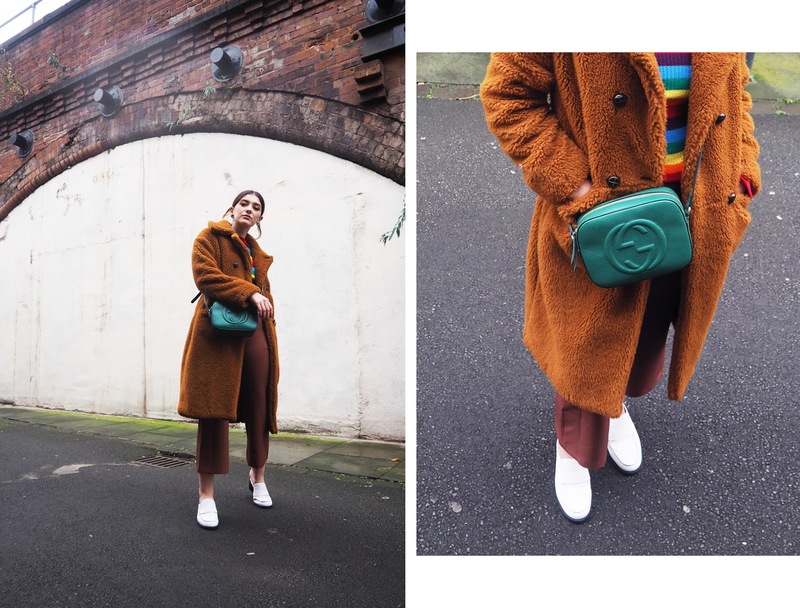 This year it's all about the coats and the bigger, more statement = the better! In a spur of the moment rush to get dressed, I decided to dip my toes into the tonal look - something I'm not usually one to wear, but I freaking loved it! 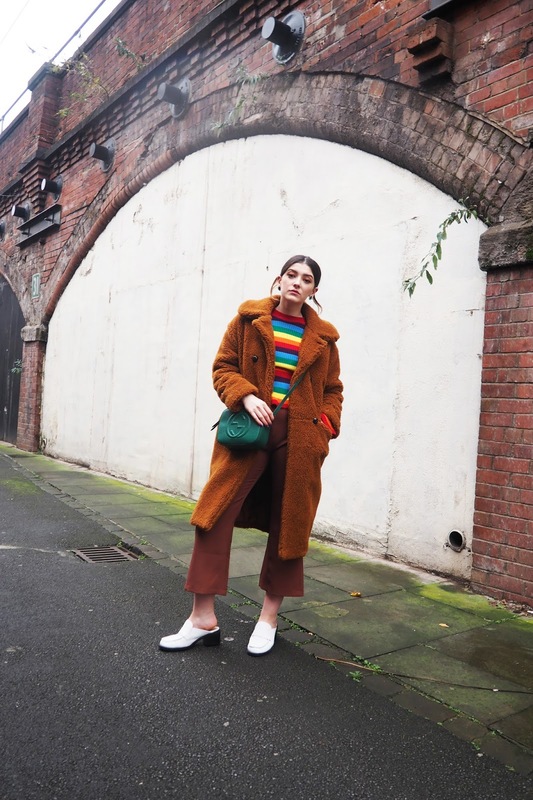 Matching the Autumnal hue of this teddy coat with these kick flare trousers in the same shade gave me aaaall the feels, although it couldn't be a true Tasmine outfit without a splash of colour now could it? 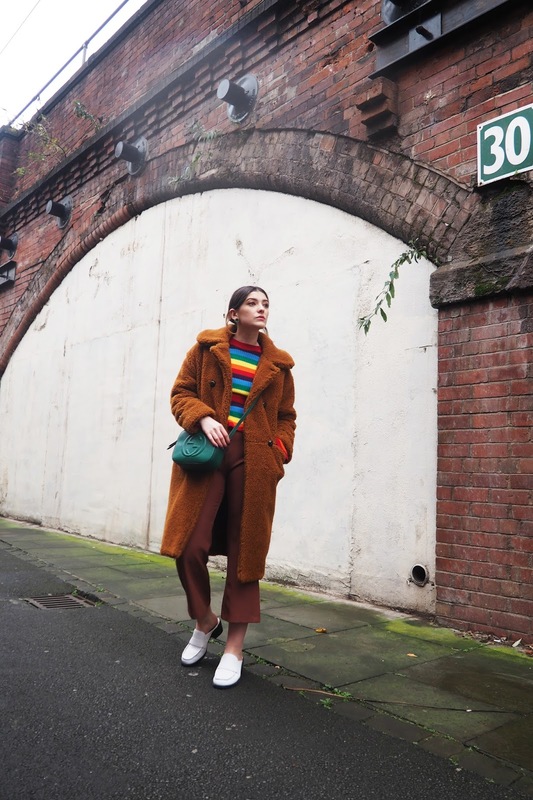 In comes this UH-MAZING rainbow stripe jumper from Daisy Street. It made the perfect statement to pull this look together and also made sure that my new baby Gucci tied in with the colour scheme nicely. Absolutely loving the bag with this look, such a pretty colour! Thank you so much! It really is such a beautiful bag, I'm totally in love! 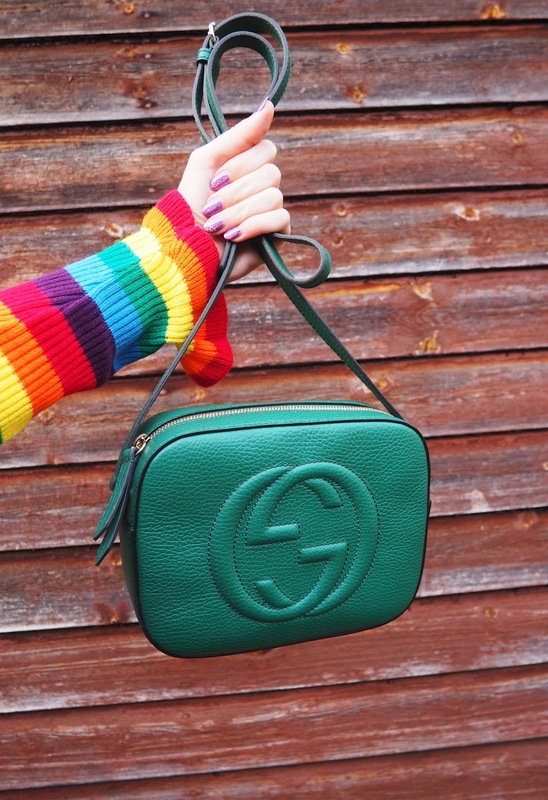 oh your jumper looks so fun and i adore your little gucci baby. i want one myself so bad. Awww you're in Wales. It's a really cozy area. The outfit is lovely, the colors go perfectly well together. It's my favourite place for a weekend getaway of peace & quiet! Never want to leave now, haha.